Last week Columbia Pictures released a reboot to one of the biggest franchise movies in the world, which is Spider-Man. Spider-Man is considered by many people from teenagers to people older as one of the greatest Marvel comics character ever created because of the way Spider-Man character is and how people relate to the character. The reboot to the franchise is very difficult to make because the Spider-Man trilogy was very good and lots of people loved, and also made lots of money so it would be hard for it to do any better. 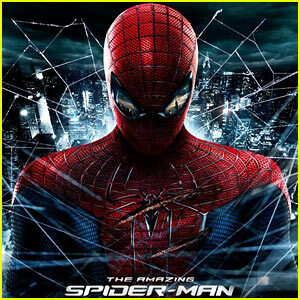 The movies stars the young talented british actor Andrew Garfield as Spider-Man, the super talented young star Emma Stone as Spider-Man love interest Gwen Stacy, Sally Field and Martin Sheen play Peter Parker Aunt and Uncle, the villain is played by Rhys Ifans quite brilliantly as the Lizard. There are more characters but these are the most important but we have to mention as well Dennis Leary who plays Gwen Stacy’s father who is a cop that is chasing Spider-Man because he believes that he is criminal not a hero. The cast are quite incredible even the minor actors do a good job because you still remember them and you see a very big difference between this one and the original Spider-man made in 2002. The story this time centers around not only Peter Parket getting his incredible powers but also something, which was never touched on in the original film is the parents that leave Peter and make him get raised by his Aunt and Uncle. The major difference between this film and the original one made in 2002 is the love interest. In 2002 Peter love interest is Mary Jane Watson that was viewed as the girl next door but in this movie it is Gwen Stacy and Mary Jane Watson is not even mentioned at all in that movie. The movie focuses more on Peter early childhood having to deal with the lose of his parents, that grow up with his Aunt and Uncle so there is lots of pressure on him because he is smart talented but without any direction of where he wants to go in life. One day while arranging the bassement with his uncle he finds his father’s briefcase that has some clues of what his father and what he used to do and why he disappeared from his life. so he finds a picture of his father with a scientist Dr Curt Connors that has worked with his father so he might help him unlock the mystery of himself and his father. So he goes to where the scientist, which is OsCorp, where his life now changes because he gets bitten by a super spider to make him become Spider-Man. In the beginning he doesn’t know how to use this incredible but there is a situation that makes realize that he is a hero and he needs to save the world or the city. The situation that changes Peter forever is when he sees his Uncle die but what makes him change is that the person that kills his Uncle he could he prevent this from happening because he was robbing the store where he was standing and he did nothing to prevent him from getting away because he thought that the owner was rude to him and he didn’t like him so he didn’t do anything against the thief so he feels responsible because he had the powers to prevent it. He now starts working with Doctor Curt Connors to finish what his father has started also try to help the doctor because the drug could also help the drug who is missing one arm. While working with him he starts to develop his skills to become a superhero that can save everyone but while becoming a hero saving people he becomes wanted by the cops because they believe that he is a criminal not a hero. One day Dr Connors injects himself with the virus that he and Peter have been developing but the problem is that instead of giving him a new arm but it transfers in to a big Lizard that can terrorize the city because if his strength, and other attributes. When the Doctor changes in to his real form he figures out that he wants the whole world or the city to become a perfect creatures or creatures like him. So now not only does Spider-Man has to fight this super villain but also the whole city police force because of the way they view him. The movie is one of the best movies that has been released this summer so far because of the way it is shoot, the characters, and the way the structure of the film is shown on the screen. One of the things that you notice in the movie is the excellent relationship between Andrew Garfield and Emma Stone because you can see why they are really love not only in the movie but in real life so it very much translated on the screen. The script is very much excellent it really holds up to the original even people are have said so far that the new Spider-Man is much better than the original because of Andrew’s performance, the way the movie and the talk of his parents makes you very intrigued about what will happen and will Peter discover the truth about his parents. Another that works in the movie are the Aunt and Uncle the way they talk or try to teach Peter to become a better a person and that will shape him in to becoming the hero we want him to be. One of the things that very much distinguishes this Spider-Man than the original are two things first of all Spider-Man costume and the other thing is his sense of humor which I believe people very much enjoyed and makes the character much more seem human or like us. Another thing that is very different is that in this movie Peter is very much skateboarder that uses his skateboards to move around and even train, which is very important. The biggest recommendation that you should do to watch this movie is that you have to watch it in Imax theater for not only the quality of the screen but also the quality of theater it self, it makes a lot of difference watching it in this type of theater because of the whole experience. Another thing that has to be said is that don’t leave the cinema when the movie finished wait for the credits because there is a very important scene that will revile a lot about what might happend in the next movie when they decide to make. SO I would recommend that people go see it because you wont get disappointed by anything that is in it and you will walk out not disappointed at all because it fulfills all your basic needs of a good summer movie should be.